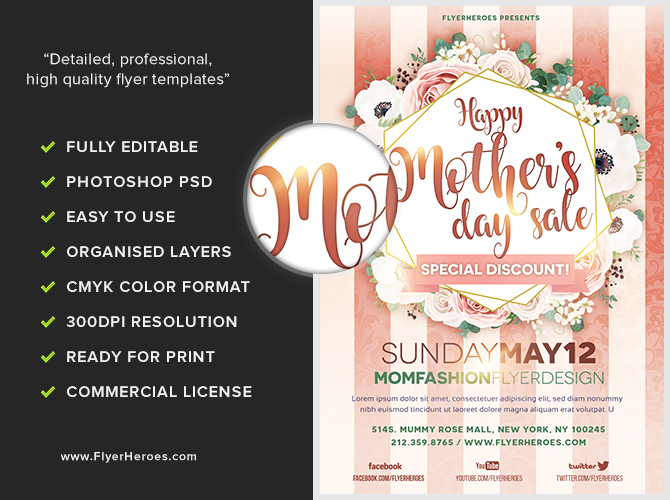 Help your customers find gifts for Mom with our elegant Mother’s Day Sale flyer! 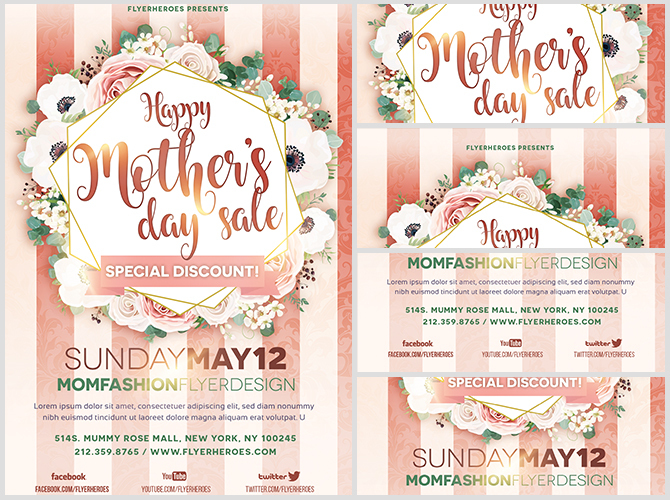 This flyer uses a beautiful color palette pulled from the floral arrangement in the center. Striped wallpaper appears in the background, while the event title is surrounded by several different types of flowers. The event title also uses a delicate script font, highlighted by gold reflections. 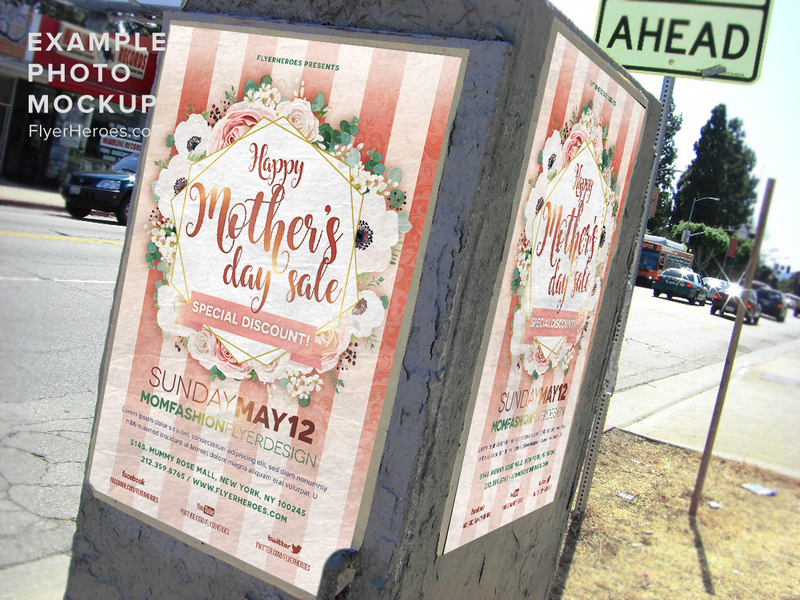 The center graphic has a banner callout for any special sale messaging you may have. Additional sale information appears at the bottom, in tones of burgundy, green, and dark blue. 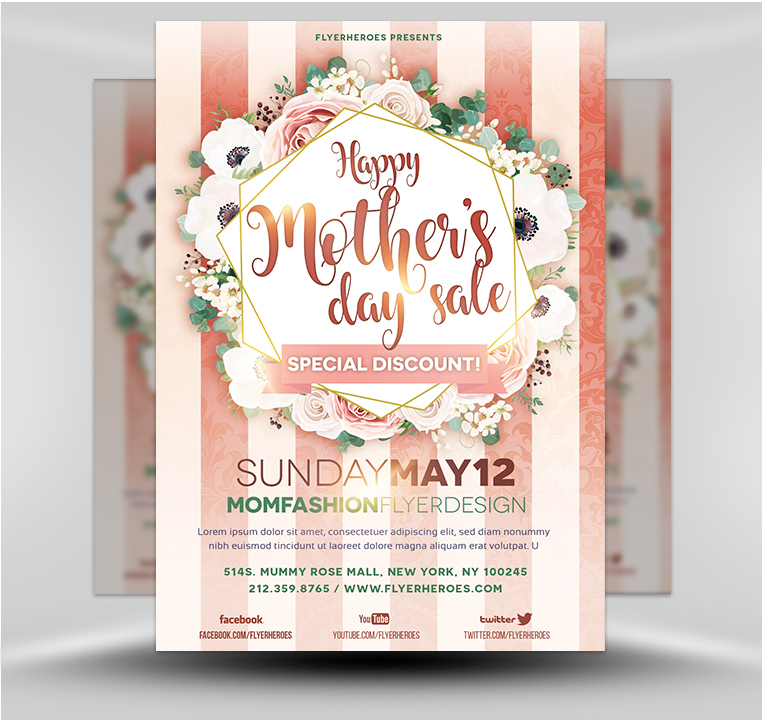 Use our Mother’s Day Sale flyer to advertise your store’s next Mother’s Day event!